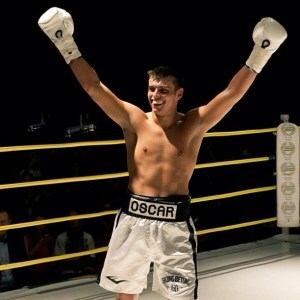 Swedish lightheavy prospect Oscar "Golden Boy"Ahlin, 6-0 (6), stopped Attila Szatmari in the second of a scheduled six rounder earlier tonight in Szentes, Hungary, on a show staged by Felix-Promotion, headed by Felix Racz. Szatmari has a mixed record to say the least but Ahlin shows this far everything you can ask for from a young prospect and has that special charisma that makes people watch. In the headliner Attila Kovacs, 27-4, continued his comeback with a six round points win over Laszlo Szekeres and cruiser Sandor Nagy, 7-0 (7), stopped Norbert Nagy (no relation) in the first round.